Audi's Keogh: RS 3, Q8 coming to U.S.
Audi's RS 3 hatch. U.S. will get the sedan. NEW YORK -- Audi of America CEO Scott Keogh said the high-performance RS 3 compact car and Q8 SUV will be sold in the U.S., but the Q1 small crossover may be a bridge too far. Keogh signaled that an RS 3 sedan would be the best fit for the U.S., rather than the hatchback version. 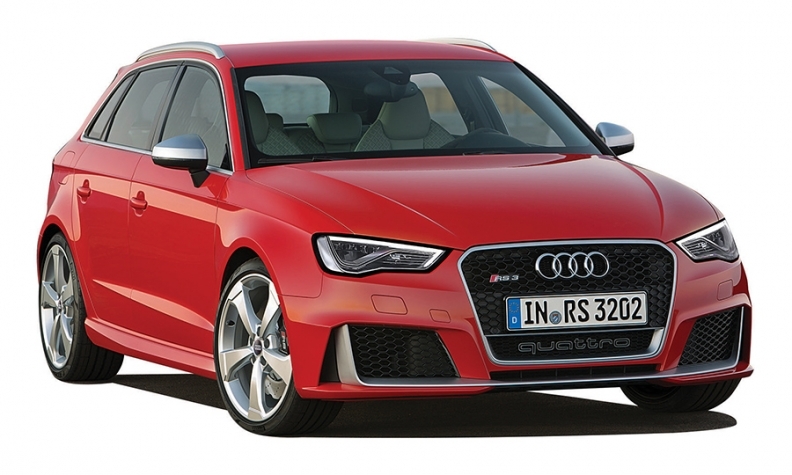 In Europe, the RS 3 hatchback gets 367 hp from a five-cylinder engine for a 0 to 60 mph time of less than 5 seconds. Until now, Audi has limited its plans for its compact A3 lineup to a sedan, a sporty S3 and e-tron plug-in hybrid five-door. "We really, really want the RS 3," Keogh said. The sedan is "going to be a great positioning car, a great halo car. I'm very confident we'll see that car in the market. That's as far as I'm going to go." Keogh also confirmed the new Q8 would land stateside. He declined to discuss timing, but the SUV should arrive in the U.S. in 2017 after it goes on sale in Europe. The Q8 will be derived from the redesigned Q7, similar to Audi's adding the A7 as a sportier, more premium and more expensive offshoot of the A6 sedan. "The Q8 looks to be a home run product for the U.S., if you look at its size and where it's going to be positioned," Keogh said. "That is absolutely a car that we will see in the United States." Audi AG CEO Rupert Stadler confirmed last month that Audi would produce the Q1 crossover to slot beneath the Q3, but a very small Audi crossover might not have the combination of price and value for American consumers, Keogh said.